I'm looking for a nice header for the enjin page. Will reward user with rep, or an item/account we can discuss via PM. Looking to use the guild tabard design and colors for a theme. It's on the enjin page on the left. 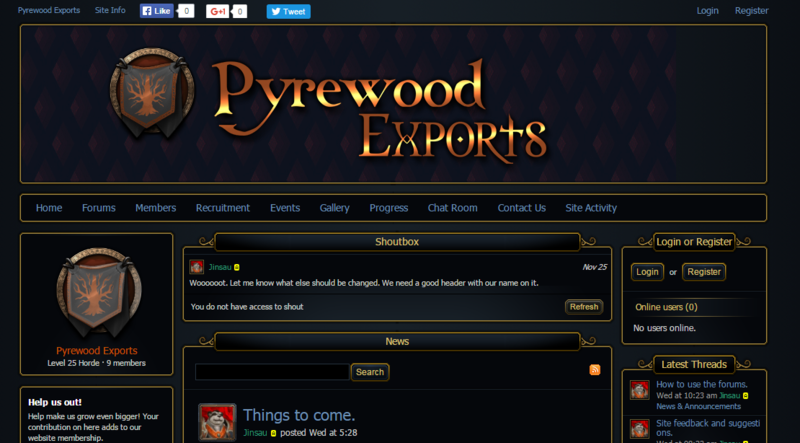 The guild name is Pyrewood Exports. Got an image file for that guild tabard? Would really help to have a standard straight face view of that emblem so we can .ai it. Using the emblem would be easy and I'd honestly like to.. I just need a front facing view to get it right. Here's my placeholder until I can put some real effort into it. 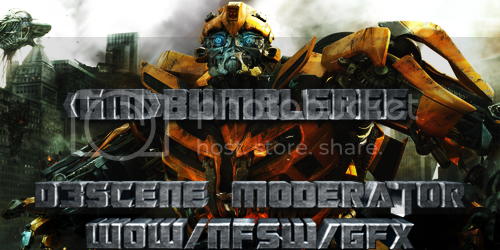 Last edited by DarkJesture; 12-03-2015 at 01:53 AM. Guys I am joining this btw who wanted the tabard here it is. However I'm not really looking to add the tabard emblem in it so directly, maybe a bit more subtle. With both of them looking like the same thing, I'd have to get rid of the other one. I like the other one. I will make something in some hours busy atm.